A Taiwanese family spent weeks living with three dead bodies of other family members in the living room of their house. 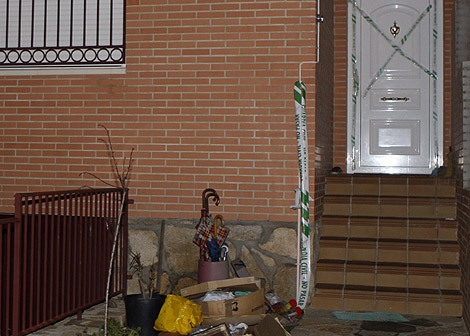 Last Friday residents of San Martín de Valdeiglesias were shocked to discover that a local Taiwanese family had been living with the dead father and two of the children in the lounge for some period of time. It is impossible to tell how long ago or even how they died until the results of the autopsy come in although it is suspected that they died of some sort of disease. The discovery was made on Friday almost by accident, after suspicions were aroused in the children´s school as the Lee children had not attended class since November 17 and had never been absent before. Local police went to the house several times, without gaining entrance until, finally, one of the daughters of the family opened the door, she was dirty, ragged and malnourished. Upon seeing the situation in the house, the police requested a warrant from the Navalcarnero Court of to enter the Lee´s Home. They discovered the father, Pi Kun Lee, 46, and two boys aged 4 and 15 were dead in the corner of the living room. The other rooms were clean and in good order, but the rest of the family had continued living in the lounge. The mother of 44 and the two daughters aged 14 and 11 and a boy of 6 years old were found malnourished and extremely dirty. Tests were carried out to see if they had contracted some sort of disease however until the autopsy results are known it is impossible to tell, there was no sign of violence on the bodies nor in the home. how they could live like this??? ?